I took this picture last week. Its interesting to know that the area I grew up used to be an ocean. Scientist call it the Tethys Ocean and it existed about 200 Million years ago. 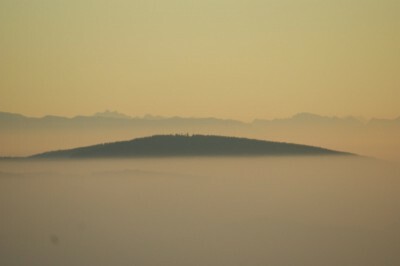 On a foggy day, when you can just see a few hills popping out of the mist between the Bohemian Forrest and the Alps, I feel like stepping back to that period! Next Next post: Argentina, here i come!